I'm late to the party, but I made it!!! After Plan A and Plan B didn't work out, I happily decided on Plan C which is this wonderful pin from In My Own Style by Diane. 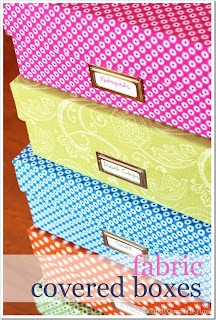 I love these colorful boxes! I loved embellishing it! I used the selvage edge of some ticking and vintage rickrack. 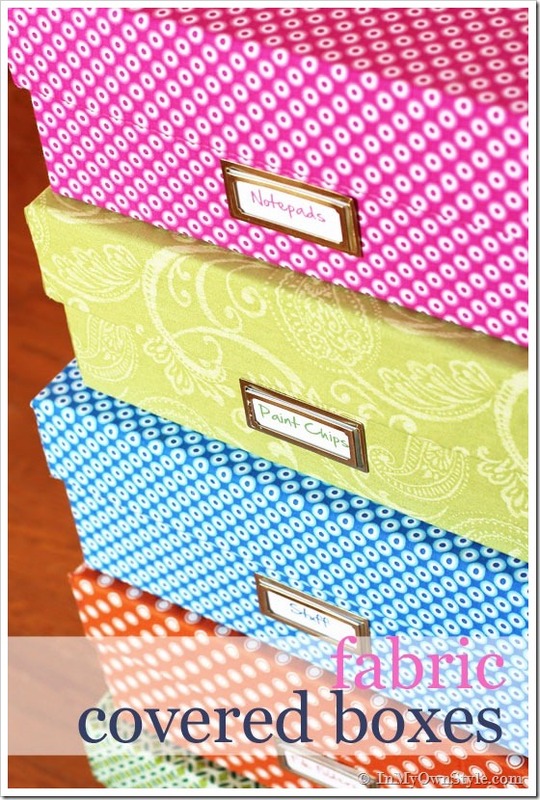 And inside the box is super user friendly button storage! I have to laugh though- this project contains a lot of similarities to my last project- the Valentine's Box! Completely unintentional, but amusing none-the-less! Thank you so much to Young House Love, Bower Power, The Remodeled Life and Decor And The Dog for getting me to actually attempt one of my pins! A great exercise in getting something done!